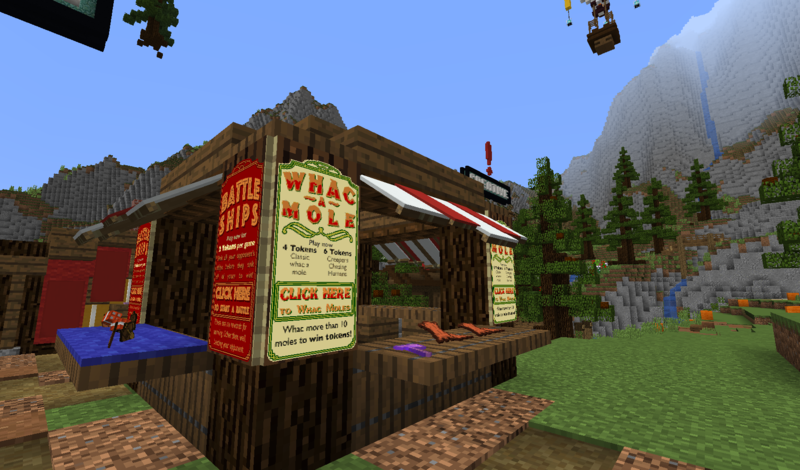 VIP and VIP+ members can now use colour and format codes on signs (in Survival, Creative and PureSurvival). Our ranks page, and the store have had the list of perks for paid ranks updated. Permissions for the Armour Stand Editor have been corrected. It should now work fine for VIP and VIP+ members only. There’s only 6 choices for now, but we may add more in the future. This is more of a trial run, so please share your feedback with us in our discord server. We will roll this new feature out to other servers in the near future. 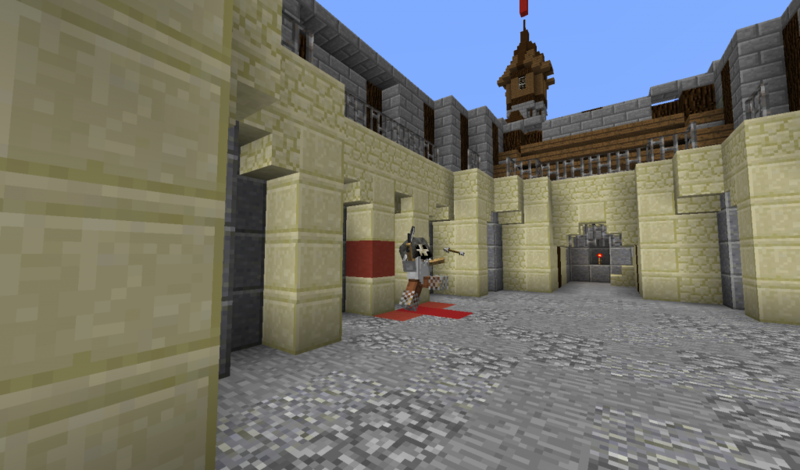 Several missing custom maps from Survival’s spawn have been fixed. /ranks guide, /ranks joint and /ranks skip have all now been finished, making it much easier to learn how our rankup system works! We are also still of course working on the new hub, along with a handful of other projects, so watch this space for new things. First off, we’d like to wish everyone playing a Merry Christmas, Happy Holidays, or whatever your preferred greeting is! We’re very thankful for all the support you all show us, and it’s wonderful to still see a strong community after over 5 years of running a server! Naturally, over Christmas a lot of our team will be busy visiting family, and generally doing IRL things – so please be prepared for slightly longer wait times on reported rankups and other tickets, we will endeavor to get to them as soon as possible. Just please be patient with us. Firstly, after Christmas everything on our store will be on sale, with a 50% discount on everything, and 65% off VIP+! This sale will run until the end of January, so theres plenty of time to grab a good deal and get yourself (or gift a friend) a VIP rank or a set of decorative player heads! Secondly, we can finally announce that Gladiator will return early in the new year! With new arenas, new waves, new bosses. It’s gonna be all fancy! More accurate launch date will follow as soon as possible. And finally. 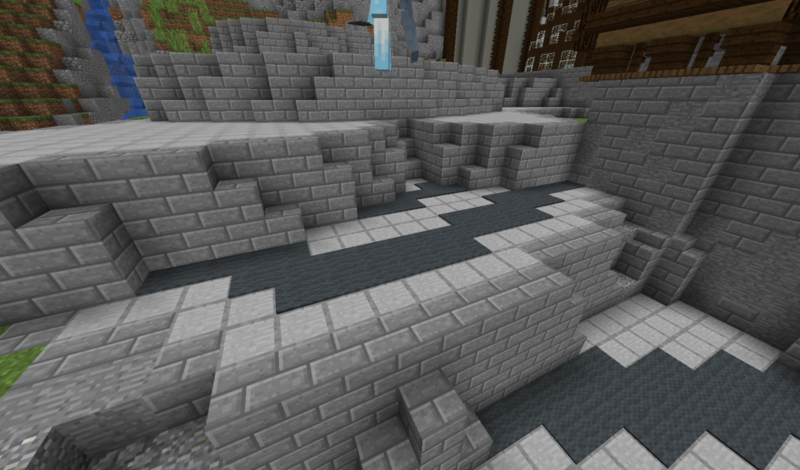 The rather long awaited, and frankly overdue, new hub will be launching early next year! We’ve been hard at work over the last few weeks and we’re finally getting towards a point where we will actually finish our new hub! Isn’t that amazing, we’re actually finishing a project! And of course, this is down to the massive amount of work we’ve had from our build team. For those who didn’t work it out, the screenshots posted recently were of the new hub, so you have a good idea of what exactly you’ll get to explore soon. And theres plenty of hidden secrets for you to go out and find! Isn’t that all exciting eh? It’s that time again where I’m gonna start sharing random screenshots with no context. These are all, in some way, “coming soon™” to the ClownerCraft network. Can’t wait to see all the speculation on our Discord and Forums! On top of that, we are thrilled to announce this years Christmas contest! This year, we’ve gone for a theme of “Gingerbread Houses” – and it’s also a team-contest! You’ll be able to claim plots from Monday 10th December (hopefully). More details to follow soon! As always, if you do encounter issues on the server – please make sure you report them to us, either with /report ingame, on our forums, or in the #suggestions-feedback channel on discord. We’ll do our best to get everything running smoothly. Plots. The contest kind and the creative kind. And more. Today’s one of those exciting days; we have a bunch of things to announce! First of all, thank you all for your patience with us as we’ve been slowly working through things. We still have a fair amount on our plate to deal with but we are reading your feedback and noting down things that need looking at – it may just take a little longer than we’d like. And now, what a lot of you have been waiting for. 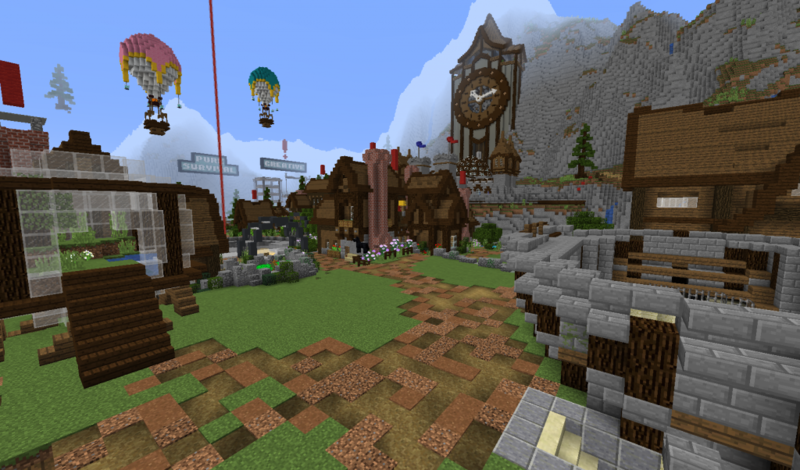 As of now, ClownerCraft’s Creative server is back online, now on 1.13.1. Naturally, as it’s only just been updated it’s quite possible theres little things we’ve missed and so if you do find something that doesn’t work please report it to us either with /report or in the #suggestions-feedback channel on our discord. PureSurvival will follow very soon. There will be more future contests put up on the calendar page of our website in the coming days. And finally… We will be launching a new thing at the end of October. Something we’ve been working on for some time may finally be opened for everyone to enjoy. But we’ll keep things a little secret for now. A quick update on what’s happening with Creative/PS/Gladiator at the moment, and why they haven’t updated yet. Before I get started though, I do want to remind everyone that we are a team of volunteers, and we run ClownerCraft for fun. Please be patient with us, and understand that sometimes real life has to take priority over the server. For many of the team we’ve suddenly hit a busy time with work/college/university etc, and can’t give up quite so much of our time to working on the network. 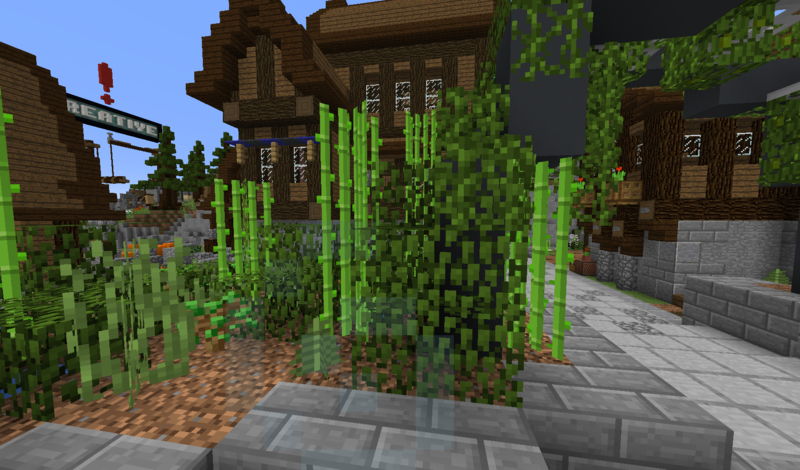 As mentioned before, there are still issues with 1.13.1 and world upgrading, and we are waiting to be certain this is fixed before we try and upgrade PureSurvival – as we intend to keep the world. 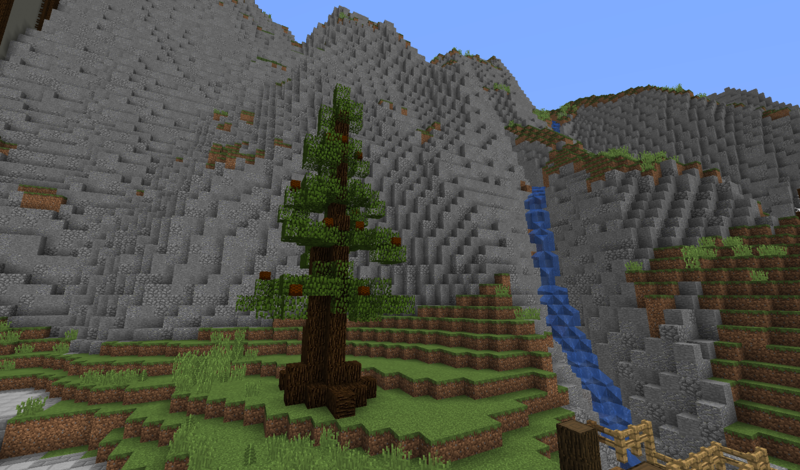 PaperSpigot appears to have now fixed this issue, but it’ll still take us a little while to get PureSurvival updated for 1.13.1. Creative, however, is a little more of a challenge. At the moment we are still waiting on a few rather important plugins to update for 1.13, meaning we can’t really do much to update creative until those release updates. And while we can, in theory, keep it on 1.12.2 – there are significant issues there with 1.13 version support. And generally, managing servers on different versions is not an easy task. And in terms of Gladiator, the update reset all of the game’s setup (because of changes to the plugin to make it work for 1.13) – so we need to take the time to reconfigure it all. And since we’ve got to do that anyway we have decided it’s time to improve gladiator again, which will include more waves, as well as multiple arenas. But naturally – this all takes time, which is something we’re in short supply of right now. 1.13 is a pretty big update in terms of technical changes, and I think we were really lucky to be able to update Survival so early, but we also really underestimated how long it would take to get everything fully updated. We’ve finished off the last few bits of Survival’s 1.13 update. 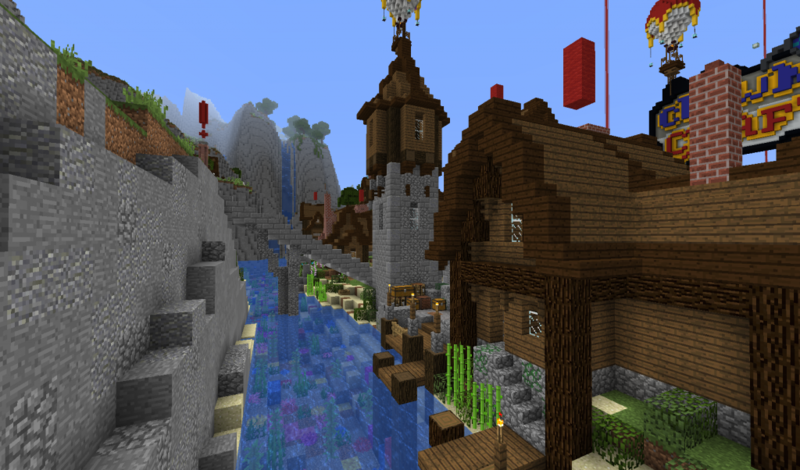 Which means we’ve launched the new server shop, alongside the economy reset. As well as introducing “TokenCrates” – which allow you to get $$$, heads or blocks with your tokens. The rewards are randomised – but it’s a little cheaper than buying from the tokenshop (assuming you get the items you want of course). Every player can get up to 5 total crates per day, from either the Economy, Head of Block Crates. 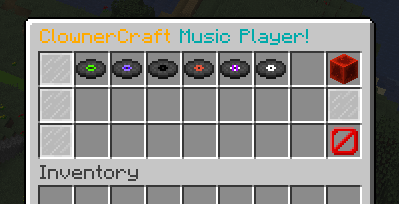 You can find the crates at /warp token. There are still a number of commands which may be broken or missing and we will be updating those as soon as we can. I’ll also announce now that until Monday, voting will give DOUBLE TOKENS. That’s right, until monday, every single vote will give you two tokens, instead of 1. And the amount given for 1 in 10 and 1 in 50 have also doubled! This will end on Monday at 9pm BST (4pm EDT I think…). So go make the most of it and head over to the voting page now!